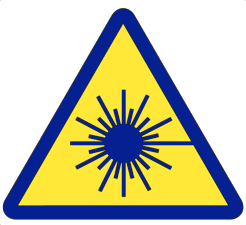 This website is designed to help serve the laser safety community and the general public, by providing relevant information in an easily-accessible format. Anyone with updates, additions, corrections, suggestions etc. can email the website editor via the contact link at the bottom of this page. We especially welcome resources outside the United States. The information on the database/resource page was originally based on a mid-2018 document originated by Kenneth Barat, listing sources of laser incident/accident resources. Text taken directly from that document is listed in green type on that page; additional research was done which is in black type. Paul Daniel, Jerry Dennis, Richard Felten, Stephen Hemperly, Jamie King, Erwin Lau, Patrick Murphy, Patti Owens, Bret Rogers, Barbara Sams, Steve Singal and Robert Thomas.